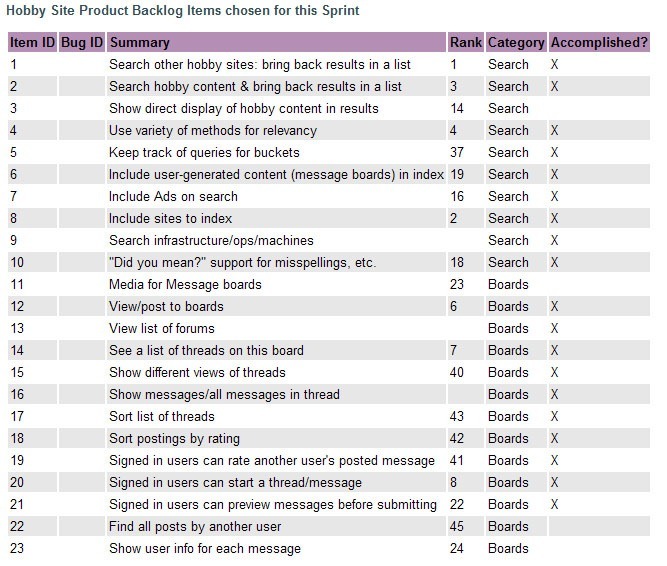 For both Sprint planning, and Product planning, teams I have been part of have found that being able to see (visually) the backlog is very important. If you are using good old fashion index cards/post-its to record your User Stories and tasks, or using a electronic tool to keep track of them (maybe you have a distributed team), all team members need to be able to see the Sprint / Product backlog and should be able to look at each anytime. I would go one step further and say that you also need to be able to visually order items in addition to being able to see them. Providing the ability to the Product Owner to visually prioritize User Stories is a must in my opinion. To do this, all User Stories need to be easily viewed, side by side. Teams I have been part of have used software to track our User Stories and Tasks because we have some team members that are not at the same site as all other team members. We have tried to have the P.O. prioritize User Stories without a visual tool, and it simply requires too much memorization to do efficiently/effectively. Once we implemented a tool that allowed the P.O. to see all items on screen, next to each other, as well as drag and drop them to quickly prioritize, the process became much more streamlined and we were able to focus on the tradeoffs between User Stories instead of trying to remember what we set to what priority previously. 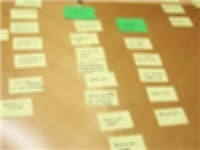 The Team needs to be able to visually see the backlog to be able to efficiently prepare for Sprint Planning. This point is more a call to ensure that all team members have access to look at the backlog at their convenience. This empowers them to be able to prepare for upcoming planning meetings, as well as get a overall feel for what the P.O. currently feels are important User Stories to tackle in upcoming sprints. I add the ‘visual’ part to this statement for similar reasons as the P.O.’s need. Being able to see work items side by side is powerful from a relationship basis. It’s imperative for the team to be able to see all User Stories while executing Sprint planning. The team members need to see all User Stories side by side when committing to individual User Stories for the Sprint. If the team isn’t allowed a full view of choices, they will have difficulties choosing the best stories to commit to given the Sprint goals. Certainly the highest priority User Stories will be shown first, but those aren’t always the stories the team chooses to implement (for a number of reasons outside the scope of this post). Next up in this series, the importance of tracking Remaining Work Hours as opposed to completed hours. Agile Planning: Remaining Work Hours > Completed Work Hours Agile Planning: What? How Do I Know What I Will Be Working On During The Sprint?